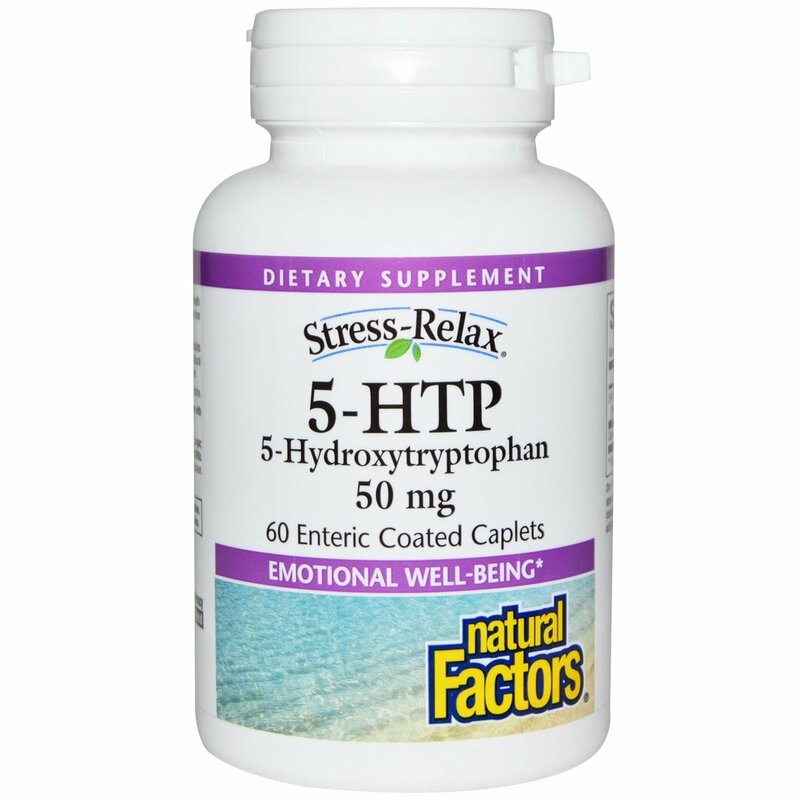 Supplementing with 5-HTP provides natural support for emotional well-being and caplets are enteric coated to minimize gastric discomfort and optimize absorption. 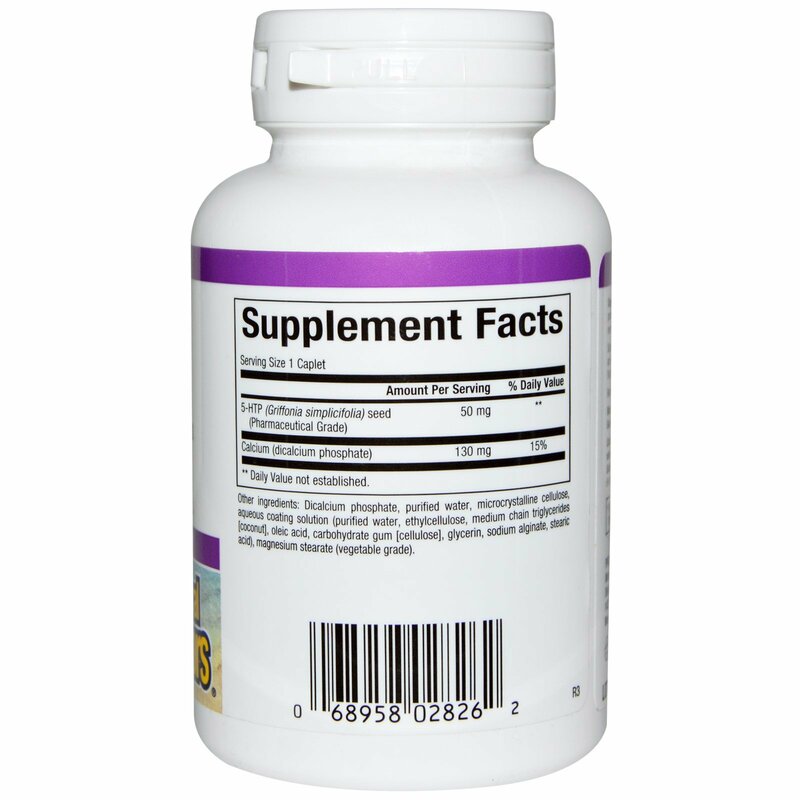 Natural Factors amino acids are the highest quality pharmaceutical grade products available. Recommended by Dr. Murray, one of the world's leading experts on natural medicine. 1 caplet 2-3 times daily with meals or as directed by a health professional. To minimize the risk of gastrointestinal side effects, slowly increase dose over a period of 2 weeks. Dicalcium phosphate, purified water, microcrystalline cellulose, aqueous coating solution (purified water, ethylcellulose, medium chain triglycerides [coconut], oleic acid, carbohydrate gum [cellulose], glycerin, sodium alginate, stearic acid), magnesium stearate (vegetable grade). Contains no artificial colors, preservatives, or sweeteners; no dairy, starch, sugar, wheat, gluten, yeast, soy, corn, egg, fish, shellfish, animal products, salt, or GMOs. Suitable for vegetarians/vegan.